Four years is a long time in triathlon, but up until a few weeks ago it wouldn’t have been crazy to suggest that the same men who stood on the podium in the triathlon event at the London 2012 Olympic Games would be a good chance to do the same in Rio. For Javier Gomez Noya, Alistair Brownlee and Jonathan Brownlee, the only men to have won an ITU World Championship since 2008, Copacabana was shaping up to be a brilliant showdown. But with the late withdrawal due to a broken elbow for Gomez, the London 2012 Olympic Games silver medallist and five-time ITU World Champion, the race at Rio suddenly takes on a different shape. There is no doubt that the Gold and Bronze medallists from London start as the athletes to beat. While the Brownlees’ run into Rio hasn’t been quite as long and consistent as their long campaign into London, there is nothing to suggest that this matters. The brothers have consistently proved they are excellent big-race athletes. Alistair is the reigning Olympic and Commonwealth champion, Jonathan also claimed medals in both those races. And in their lead in to Rio, they’ve combined for a 1-2 podium punch at consecutive Olympic distance World Triathlon Series events in Leeds and Stockholm this year. The Rio course also suits the Brownlees perfectly. As Jonny recently told a paper in Yorkshire, it’s even more suited to the pair than London due to the demanding nature of all three legs, which simply means that the “the strongest all-round triathlete should win on the day”. Put simply, the Brownlees are primed to create more history. Alistair could become the first triathlete to successfully defend their Olympic title. But there is also plenty to suggest the shape of the men’s race might be determined by those who have come onto the main stage since the London 2012 Olympic Games. 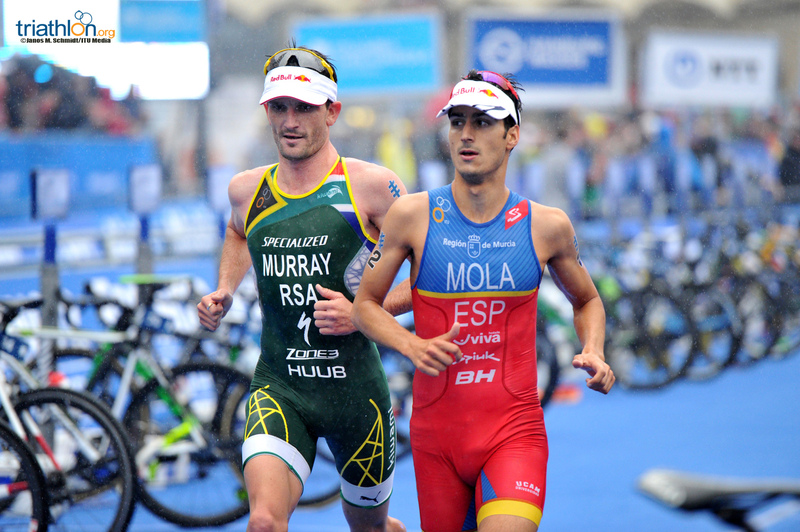 While Spain’s Mario Mola did race in London, he’s stamped himself as one to beat much more recently on the WTS circuit. While Mola’s regular sub-30 10km times can occasionally see him pinned as a run specialist, there is no doubt that he is also capable on the bike, an important factor on the technical and hilly Rio course. A good swim will be key to Mola’s chances, but if he is anywhere near the leaders on the run, the speediest man on the WTS circuit will be within pouncing distance. But some of the other men to watch are making their Olympic debut, coming onto the world stage since the London Games. In particular, look for three men who claimed Under23 World Championships since that race, Aaron Royle (AUS), Pierre LeCorre (FRA) and Dorian Coninx (FRA). Add in Fernando Alarza (ESP), who claimed silver medals in two consecutive years in the Under23 race, these men are now serious contenders. Since finishing sixth at the Rio qualification event, Royle has constructed his entire plan around Rio, and seems to be hitting form at the right time with a third-placed finish behind the Brownlees in Leeds. Royle is also chasing some history, while Australia are the most successful nation in triathlon at the Games, all five medals have been won by its female athletes. Behind Gomez and Mola, Alarza might have garnered less attention but he hasn’t finished lower than sixth place in a WTS race for a year. Vincent Luis, who at 27 is the elder statesman of the team, LeCorre and Coninx make up a formidable French team. While Luis might have collected most of his ITU career medals in sprint events, you can’t ignore the fact that he pulled out one of his best races on the Olympic course last year. In the 2015 test event, he finished second only behind Gomez. Le Corre hasn’t finished below sixth in a WTS race this year, fifth in Cape Town, sixth in Yokohama and Leeds and a bronze in Stockholm, while Coninx finished eighth in Leeds. 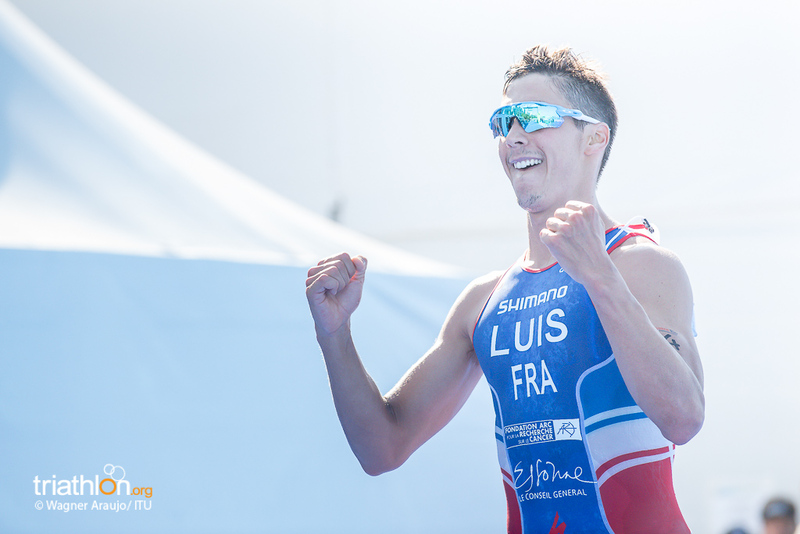 They all have an excellent chance of making history, with the first Olympic triathlon medal for France. French men have come painstakingly close in all editions so far, in London David Hauss and the late Laurent Vidal finished fourth and fifth, Frederic Belaubre finished fifth in Athens and 10th in Beijing, and Olivier Marceau seventh in Sydney. Others that are serious contenders to claim the first Olympic medals for their country include South Africa’s Richard Murray, who finished third in the Rio test event with the quickest run split of 30 minutes and 30 seconds. Murray also claimed the bronze medal at the Commonwealth Games in 2014, behind the Brownlees. Like his training partner Mola, a decent swim will be key in Rio, but his run form suggests that he is capable of shaking up the status quo. It pays to remember that since triathlon’s introduction to the Olympics, it’s been a particularly hard race to predict. In fact, up until London, no athlete who had won the previous year’s test event had turned around and won gold the next year. Alistair Brownlee did break that trend, but the majority of the results so far show that previous form isn’t always the best guide. While 2008 gold medallist Jan Frodeno has since turned out to be one of the best triathletes of his generation, he hadn’t actually won an ITU race ahead of that epic sprint finish at the Beijing 2008 Olympic Games. So who are the wildcards that could throw a spanner in the works in Brazil? Switzerland’s Sven Riederer is clocking up his fourth Olympic appearance and while he hasn’t had a great past year, he does know how to race at a Games. He claimed a bronze medal in Athens and finished 8th in London. Australia’s Ryan Bailie perhaps found his Rio test event more memorable than most, as he flipped his bike over a barrier and then kept riding, but that lost chance may spur him on further. Vicente Hernandez is the Spanish athlete that has taken up Gomez’s place, and recorded two WTS top ten places earlier in the year. Portugal’s pair of Joaos, Joao Pereira and Joao Silva, have been top performers on the WTS circuit in recent years, particularly in hot and humid environments. Mexico’s Cristanto Grajales is in a similar category, he won his first WTS medal in Yokohama this year and is one of the faster runners on the world triathlon circuit. Also keep an eye out for these five men, Rostislav Pevtsov (AZE), Jason Wilson (BAR), Ron Darmon (ISR), Lawrence Fanous (JOR), Kristian Blummenfelt, (NOR) and Manuel Huerta (PUR). It’s the first time that their respective national Olympic committees, Azerbaijan, Barbados, Israel, Jordan, Norway and Puerto Rico, have been represented in an Olympic triathlon event. Riederer and Japan’s Hirokatsu Tayama are also entering an elusive club, as four-time Olympians.